This project Online Image Gallery has been developed on PHP and MySQL using Drupal 7. The main objective for developing this Online Image Gallery project in php in which is used to create a collection of images to organize their digital images and to share images using internet. It can help to managing image management like downloading, uploading, scanning images. This project provides a lot of features to manage all the data in very well manner. This project contains a lot of advance modules which makes the back end system very powerful. Students can download a best collection of core php project free download. Student can also download php mini projects with documentation and synopsis. This project Online Job Portal has been developed on PHP and MySQL. 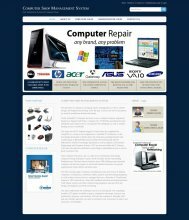 Our website Freeprojectz.com contains php online projects including fully working with source code and database. 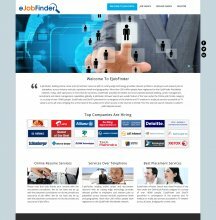 The main objective for developing this Online Job Portal project in PHP is to provide a online job search portal for employees about opportunities in different companies. It can manage Job vacancies, Job details, Bio data, Interview, Call later etc. We also provide Online Job Portal project documentation in php. This project provides a lot of features to manage all the data in very well manner. This project contains a lot of advance modules which makes the back end system very powerful. We are also providing paid academic simple php mysql project and students can choose the list of paid projects and they can easily buy php online projects. This system saves time and efforts.